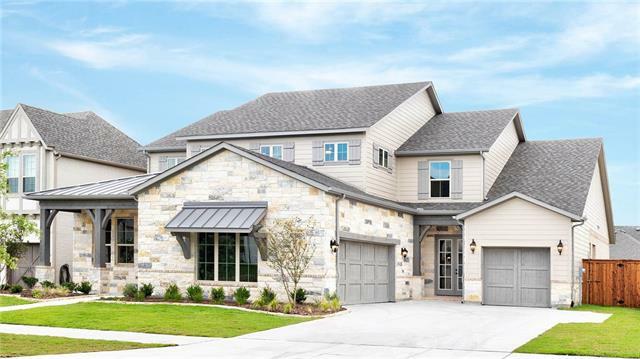 All Aledo homes currently listed for sale in Aledo as of 04/24/2019 are shown below. You can change the search criteria at any time by pressing the 'Change Search' button below. 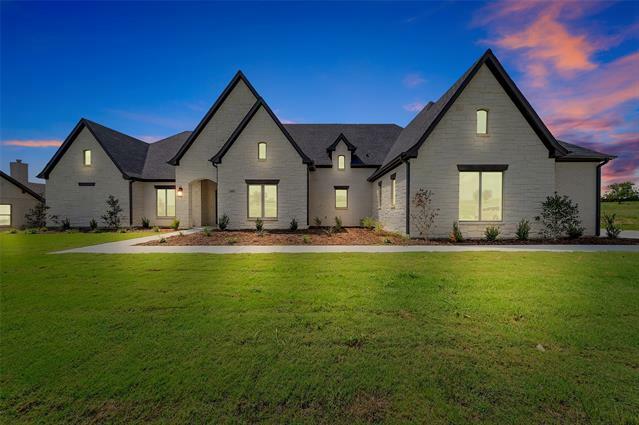 If you have any questions or you would like more information about any Aledo homes for sale or other Aledo real estate, please contact us and one of our knowledgeable Aledo REALTORS® would be pleased to assist you. 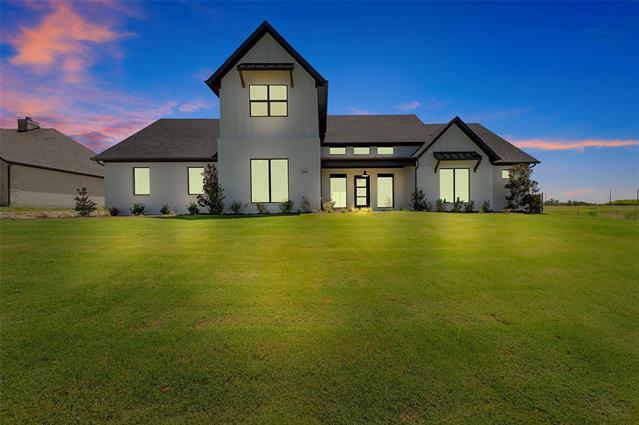 "Perfectly positioned overlooking the vast expanse of the Texas countryside, this estate comes furnished & features breathtaking views & exquisite design details throughout. A bold blend of Mediterranean & traditional architectural styles, this unique home simultaneously exudes rustic elegance & refined comfort. 7 beautifully designed bedrooms provide the perfect retreat for families & guests while multiple living areas offer inviting spaces for gatherings large or small. 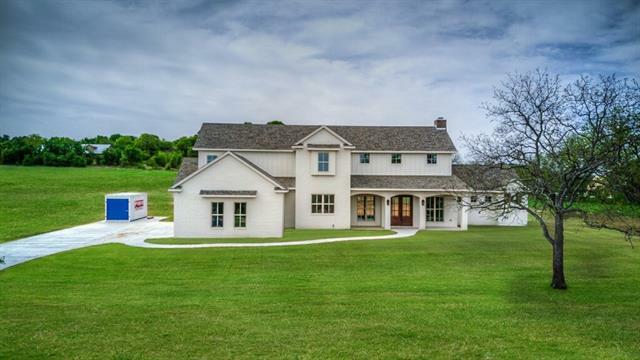 Entertaining is easy wit"
"Rare 13.5-ac Aledo estate! Exquisite country retreat in secluded oasis w breathtaking views & creek. NEW hardwood & tile floors & fresh paint! 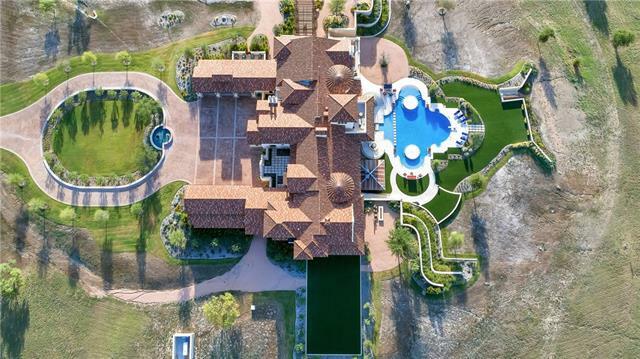 Resort-style pool w spa & 3 forts w bridges & slide! Library nook accessible by ladder. Cat walk leads to rooftop patio where views captivate. Secret room btwn 3rd & 4th BE delights w fireman s pole & kid space. Chef s kit feat 2 islands, prof-grade stove w griddle, dual dishwasher, built-in fridge & instant hot water. Laundry rm w island, built-in de"
"This Stunning Hill Country inspired home is nestled on a hillside overlooking a beautiful valley in Aledo, TX. 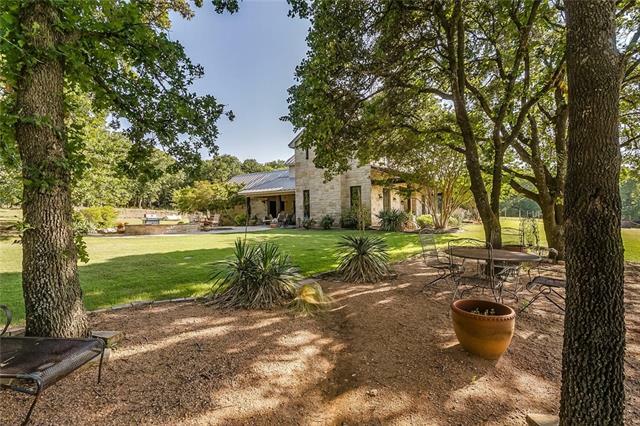 With 15 manicured acres, this ranch has everything the true horseman needs. A 5 stall show barn with covered runs, 4 horse walker, lighted 265x180 roping arena & 5 separate pastures. The barn also contains a 3 bed guest quarters w full kitchen. The main home was custom designed by Tracy Tomlin and is superb in details and craftmanship, exuding warmth & elegance. The sparkling pool w spa"
"Make this spectacular custom home your private getaway! 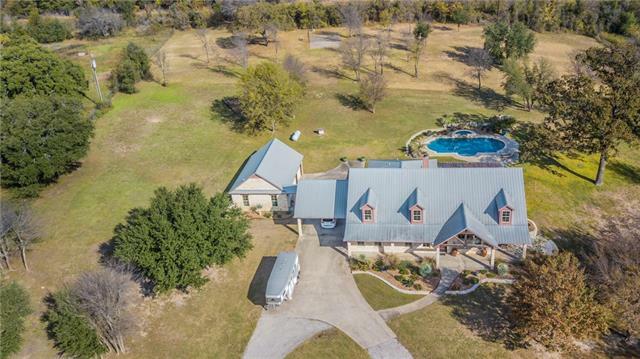 Situated on 8+ Acres in Aledo. Surrounded by gorgeous trees, this home has premium amenities and more. Spacious living area with vaulted ceilings, stone wood-burning fireplace, & lots of natural lighting. Gourmet kitchen with gorgeous granite countertops, plenty of cabinetry, oversized island, & double oven. Master Suite offers split vanities & separate shower. Updated beautiful hardwood flooring throughout. Large study. Private retreat ups"
"Nestled in the tree tops high above the Annetta Valley, this one of a kind property boasts breathtaking views in every direction. The gourmet kitchen offers a six burner gas stove, double convection oven, warming drawer, pull out cabinets, and a fabulous copper farm sink. Located in the gated and highly desirable West Hill Estates. The five acre grounds offer countless oak and pecan trees. Hand scraped hardwoods. Many unique architectural features. Geothermal HVAC system. Huge floored w"
"Perfect Peace of the Country in Aledo ISD. 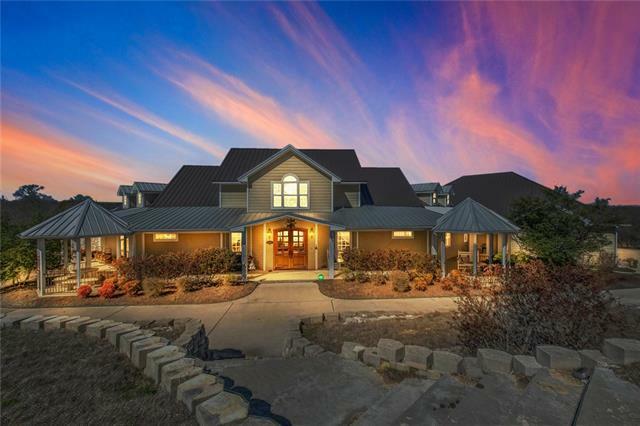 Custom built home sits on almost 6 acres of ag exempt pipe fenced horse property. Home boasts plantation shutters, crown molding, split floor plan, massive master bath and entertainment space galore. Approx 2300 sq ft barn and shop with electric. Ample storage for up to 7 vehicles, trailers, boat etc. Cattle guard and stalls are ready for your horses or mini donkeys. Stocked pond with gorgeous KOI. 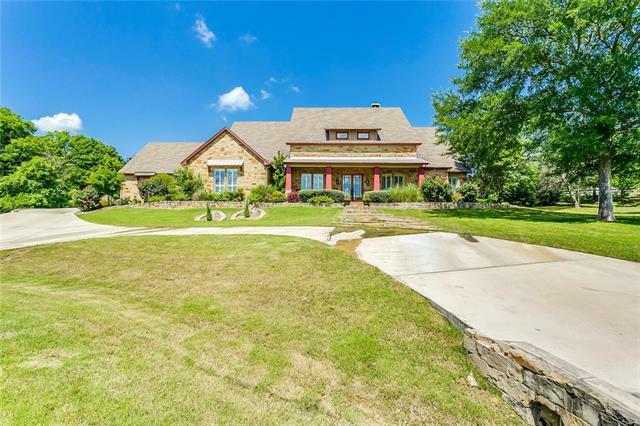 Stunning orchard and greenhouse with grape vines and fr"
"Stunning 7-acre gated estate in Aledo ISD with impressive French Country home overlooking private lake. 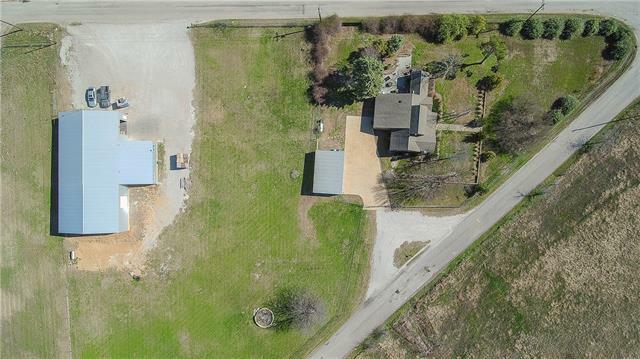 Property is a horse lover s dream with 6 stall barn, 2 tack rooms, pipe fencing & cross fenced. 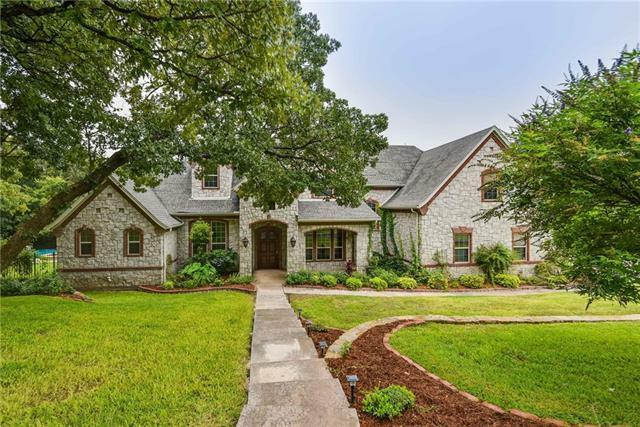 European flair home nestled in majestic oaks & boasts: architectural details; many recent updates; large open kitchen-living; outdoor fireplace; all bedrooms have walk in closets; abundant cabinets & storage areas throughout property; 3 fireplaces. 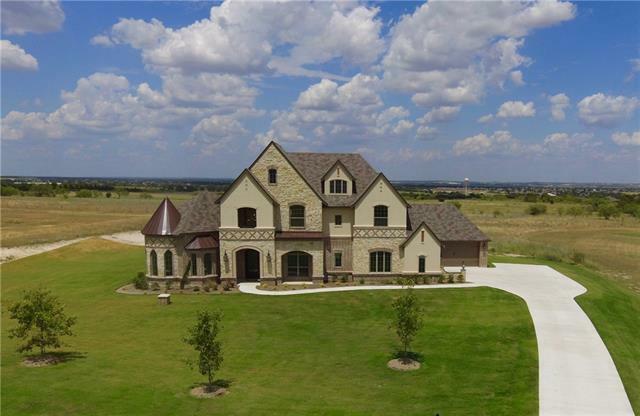 Separate 1400 SF guest quarters provides the 5th "
"M the Builders NEW Construction, on over an acre, in gated Aledo Ridge! Featuring a modern farmhouse exterior, 3-car garage, open floor plan, light & bright interior and tons of upgrades! The gourmet kitchen with island, granite counters & ss appliances overlooks the spacious living & dining areas. First floor game room, study, guest suite & split master s retreat with sitting area and his & her walk-in closets. On the second floor, living area & 2 en-suite bedrooms. 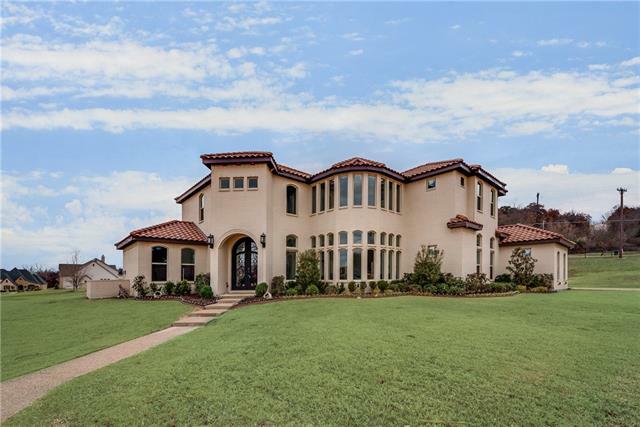 Entertain on the oversize"
"Positively beautiful neighborhood of estate style homes in heart of Aledo School District, w gently rolling hills, multiple ponds, fountains, waterfalls. This Royal Crest Custom Home is your dream home. 4 bedrooms plus incredibly beautiful study w high ceiling, beautiful windows and view of the spectacular outdoor environment. Gigantic livingroom opens into the also big kitchen. 4 and half baths, unbelievably enormous master closet, Gorgeous views from almost every room in the house. 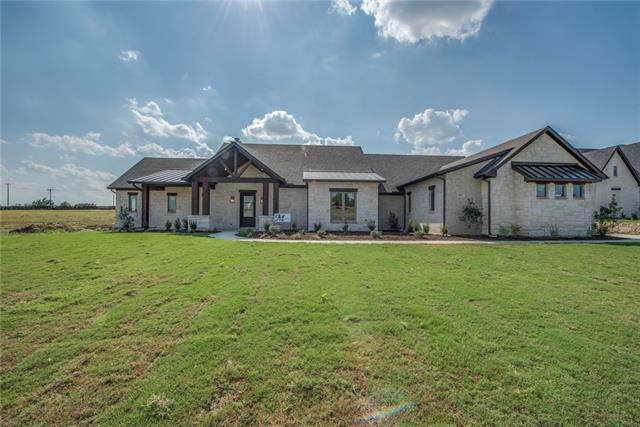 Giant "
"Live in STYLE in this MAGNIFICENT Modern Farmhouse inspired new home just completed on 2.28ac on quaint, cul de sac street in Aledo. Stunning interior design throughout! Fabulous galley kitchen with apron sink & 5 burner cooktop opening to great rm with gorgeous, on-trend colors, hrdwd flrs & windows that look out to private bkyd & spacious back patio! 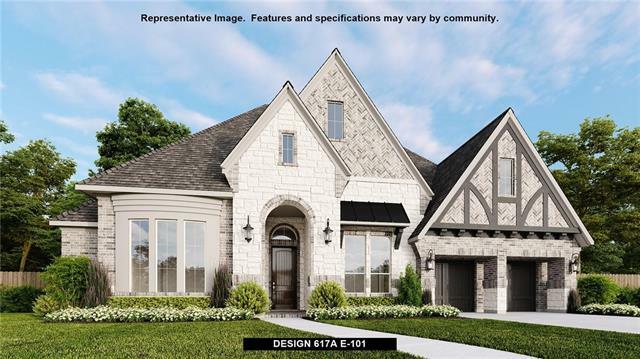 All oversized bdrms with access to private baths, huge upstairs gameroom or kid's retreat plus add'l media on 1st flr & arguably the most impress"
"M the Builders NEW Construction in gated Aledo Ridge! Located on over an acre with a light and bright interior, ton of natural light and many upgrades and unique features throughout! Fabulous chef s kitchen with island, granite counters and SS appliances opens to spacious family room with fireplace. Entertain in the spacious outdoor living area with fireplace. Split master suite with large walk-in closet. Study, game room and 3 additional bedrooms. Additional features include decorative lighti"
"Stunning custom home in secluded gated community. This well appointed home combines luxury and functionality. Impeccably maintained on an acre lot. Grand entrance with soaring ceilings and iron staircase. Huge covered patio, pergola, and balcony overlooking peaceful landscape. Gourmet kitchen with gas stove, double ovens, and island open to great room. Hand scraped hardwood floors and stone fireplace in great room. Spacious master retreat with jetted tub and dual shower heads. Each bedroom boast"
"Come see this stunning Mediterranean in the coveted Lakes of Aledo! Enjoy life inside the gates of this beautiful community. Home boasts a luxurious master suite with exquisite hardwoods throughout the house. Spacious kitchen is a chef's dream with top of the line double-oven, gas range and built-in microwave. Enjoy the seamless flow between the kitchen, great room, and dining areas that are perfect for small family gatherings or larger functions. The home is meticulously appointed! Media "
"BRITTON HOMES NEW CONSTRUCTION! Entry and extended entry with 12-foot ceilings. Library and Game room with French doors. Formal dining room with hardwood floor. Family room with 16-foot ceilings, a fireplace, and a slider. Large island kitchen with built-in seating space. Butler's pantry and walk-in pantry off of the utility room. Secluded master suite with a wall of windows. Master bath with double vanities, and a walk-in closet. Three secondary bedrooms with walk-in closets and their own baths"
"BRITTON HOMES NEW CONSTRUCTION! Mahogany front door. Study with French doors set at entry. Formal dining room. Media room. Family room with a corner fireplace and a wall of windows. Kitchen features an island with built-in seating space, walk-in pantry and butler's pantry. Morning area with a curved wall of windows. First floor guest suite. Private master suite with double door entry features a wall of windows. Master bath with dual vanities, garden tub, separate glass-enclosed shower and two wa"
"From your own private gated entrance at the end of the cul de sac, wind thru 9 heavily wooded acres to a private secluded retreat. This charming house has 4 BRs in the main house and a possible 5th BR or bonus with full bath above the garage. Back yard has a large diving pool with hot tub, and stunning views." "Great, custom-built, one-owner family home on 3+ acres has porches with 180-degree views. Granite counter tops throughout. 3-4 crown moldings and baseboards on main floor. Kitchen has breakfast area, large pantry, and Evo indoor grill. Safe room under the stairs. 19x13 Media room, 22x24 bonus room. 2-stall barn has 220 wiring, water, tack room, hay loft, and 1 car garage, styled to compliment house. 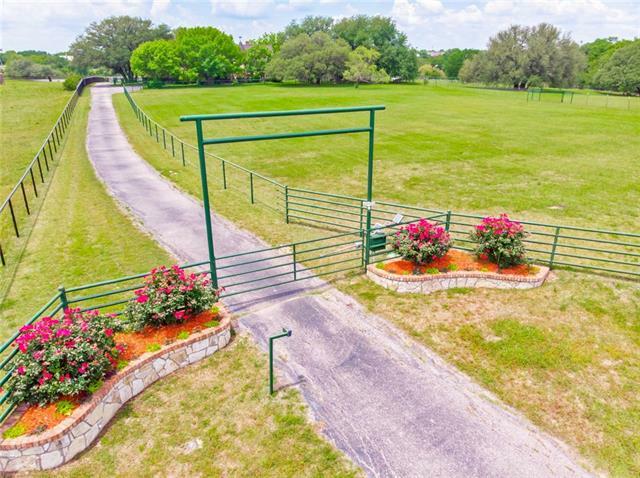 Property is fenced and cross fenced and backs up to a family-owned pasture. 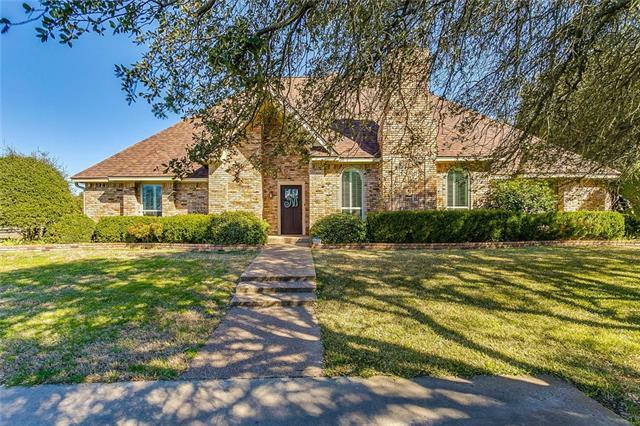 Add l paved park"
"One Owner & updated in one of Aledo's premier neighborhoods! 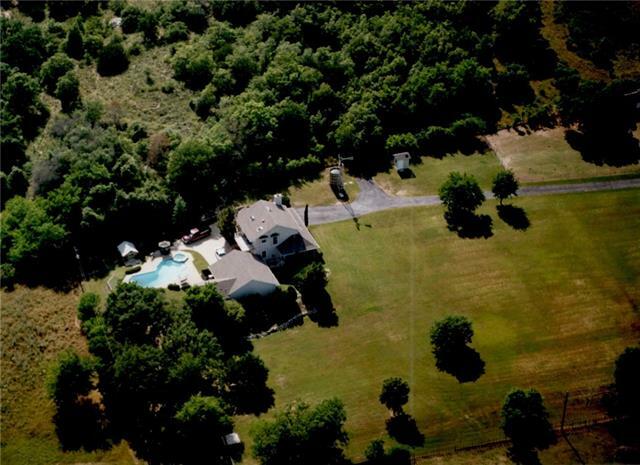 This home is situated on a heavily treed acre+ lot that backs to a creek & offers great privacy. Outdoor entertaining is made easy with beautiful infinity edge pool built by Claffey Pools w swim up bar, hot tub & gas fire pit. Interior provides plenty of space & storage without sacrificing an intimate feeling. Improvements & updates to kitchen & master bath highlight interior finishes. Floor Plan offers 2 BR & 2 bath both up & down. 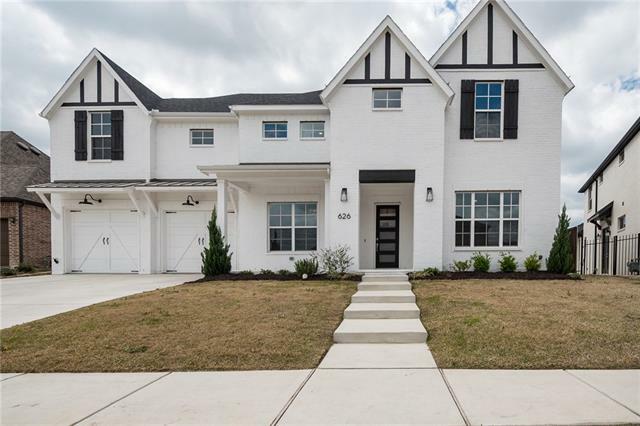 Ga"
"M the Builders NEW Construction in gated Aledo Ridge! Located on over an acre with many upgrades and unique features throughout such as a second rear patio off of the game room - perfect for a pool entrance. Fabulous chef s kitchen with butler s pantry, island, granite counters and SS appliances opens to spacious family room. Entertain in the spacious outdoor living area with fireplace. Split master suite, study and game room. Additional features include decorative lighting and wood, tile an"
"Elegance and luxury in a Modern Tudor Style! M the Builders brings a very exciting new floor plan! Front, back extended porches and outdoor living spaces w oversized windows and floor to ceiling glass doors! Beautiful chef's kitchen w walk in pantry, extended butler pantry w wine room! Mud room landing area off large utility, incredible owner's suite w extended sitting area and views! Free standing tub, separate vanities, storage galore! Vaulted ceilings with beams and spectacular finishout. 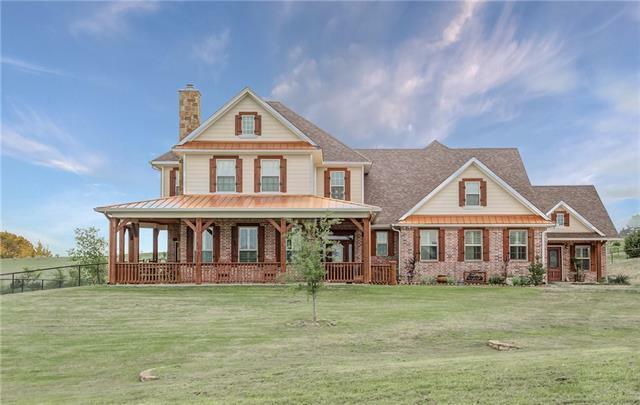 8in"
"Impeccable, Stone Creek Farms Home! 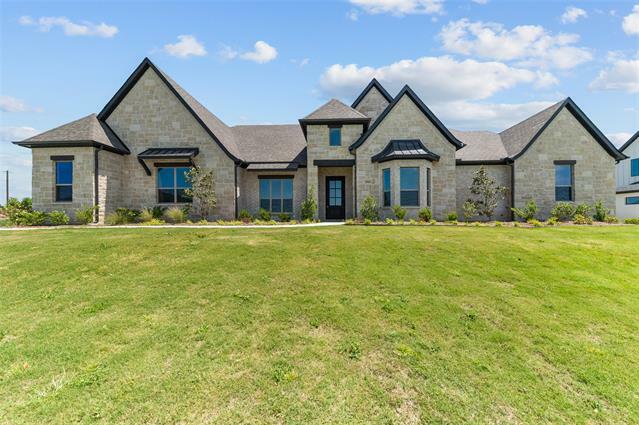 Custom Built by John Askew, this 1 story home boasts countless amenities and attention to detail!Round driveway, stone steps up to this Hill Country Charmer with gorgeous stacked stone exterior! Double door entry, Living room with soaring ceilings, stone fireplace and built-ins deluxe! Family room with huge closet for games,crafts perfect for kids, media! White farm house kitchen with apron sink, double ovens, commercial range, warming drawer. 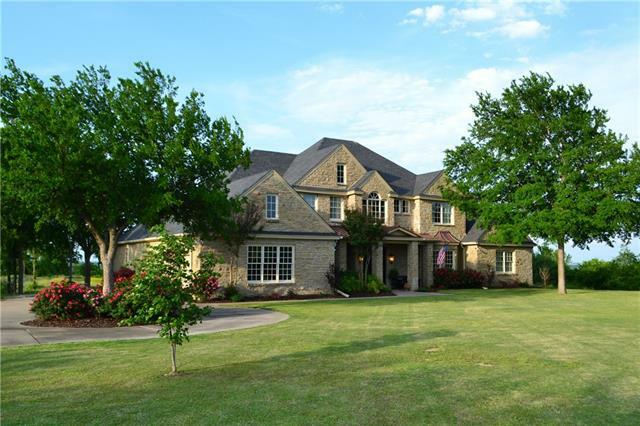 Outdoor living s"
"Beautiful 2 story, 2,034 sf home on 5.1 ac (per owner) in coveted Aledo ISD. Country atmosphere with incredible landscaping. Enjoy sitting on the porch looking out over the trees in this 3 bedroom, 2 bath home with large detached finished garage. Master bedroom with vaulted ceiling, opens onto deck overlooking spa & heated pool with fiber optic lighting. Pool house has full bath & covered patio with porch swing. Fenced & cross fenced for livestock with 2 stall barn & tack room plus a 2nd barn. 2"
"Live here & walk to work in your 50 x 100 workshop - warehouse in the backyard, or use as rental income! Quaint stone home on 2.8 acres with very nice updates! Beautiful chef's kitchen with granite & upgraded appliances! Huge master suite with vaulted ceilings which has a large room off of it that could be used as a studio, office, or 2nd den! Updated baths throughout! Nice wood flooring and lots of built in shelving! Wonderful large patio in back great for entertaining! The large shop can be us"
"Custom 5 bedroom PLUS a study in Parks of Aledo. Bright open floor plan with each bedroom having its own bathroom and a HUGE walk-in closet. Extra insulation and beautiful light fixtures throughout. Media room is equipped with a large screen, projector, and reclining chairs. Community is perfect for active families with a dog park, 6 miles of mountain bike trails, disc golf course, playground, walking paths and so much more. Don't miss out on this practically brand new home in the highly rated "